Home Soccer Luis García, dismissed: "I think I would have taken it"
Luis García, dismissed: "I think I would have taken it"
The coach confesses that he did not expect the decision and that he has learned after "a spectacular training". 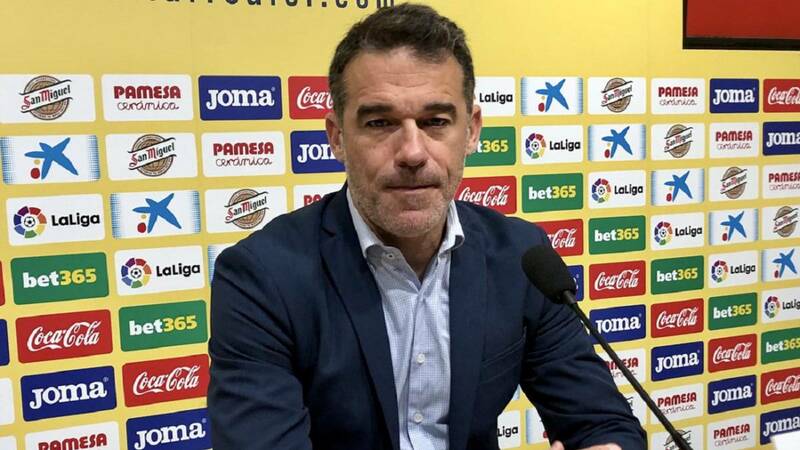 Luis García Plaza has bid farewell to Villarreal in a brief press conference. He has given it a few hours after the club announced his dismissal and an hour before President Fernando Roig made his explanations about it. These are the statements of the former yellow coach, which was for 49 days. Analysis: "Of the six games we have played, I'm just unhappy with the last one, we've helped the team to qualify in the Europa League but it has lacking fortune to have a few bad points in the league, except for Valencia, any of the other five league games we could have won. " Situation: " I think the team is going to come out. Like the person who comes has that little bit of fortune that makes you win an even match, the players were by our side and we lacked a result in this short space of time ". Notification:" We have trained and I have not I had no news, it was a spectacular training, I am sure that the team will win on Sunday, it gave me time to say goodbye to the players. He has one of the evils detected, and one of the evils is the time to train. And from now on we were going to have it. " Disconforme: " I do not share the decision, but I accept it. I considered myself capable, alive and eager. I think I could reverse the situation, but also the one who comes will be able to reverse it. Is not easy. And less in a club that I love very much. It is the third dismissal in my career. Coming to this club was one of the things that made me more excited. It has not gone well and that's it. I have not had time for it to go well either. In the end in six games you can change few things, it has only been five weeks of work. But surely with the work that has been done is going to notice that change. It is difficult to digest because I was strong and willing and in tune with the vast majority of the costumes. On Sunday I will be at 12.00 watching the game. "